Loan approval letter or verification of funds if cash offer, Agent Checklist, Seller Disclosure, Buyers Acknowledgement, min $1,000.00 Deposit (copy of check). Agent do not send any offers without all of the above. Bank of America N.A employees and Employees household members and HTS Business partners of the Bank ARE PROHIBITED! From purchasing this property, Weather Directly or Indirectly! please allow 2-3 buisness days for seller to respond. For cash offers: The Grantee(s), or purchaser(s), of the Property may not re-sell, record an additional conveyance document, or otherwise transfer title to the Property within 60 days following the Grantor's execution of this Deed. Highbaughs Powell is a subdivision within the city of Louisville, Kentucky. There are currently 6 Homes for Sale within Highbaughs Powell, with asking prices ranging from $40,000 to $139,900. The average list price per square foot of the available inventory in Highbaughs Powell is $61, which is below the Louisville average of $156. The Average Sales price of all sold real estate in this subdivision for the past year is $65,336. Recent comparable homes have been selling for 95.62% of their asking price. Waterfront homes represent 33.33% of the available Highbaughs Powell inventory. The population of Louisville, according to the 2010 Census, is 597,337. The total number of households in the zip code of Highbaughs Powell is 8,786, with an average household size for of 2.52 people. The total number of renter households within the zip code of 40215 is 4,533, which means that 48.41% of households in this zipcode are owner occupant households. 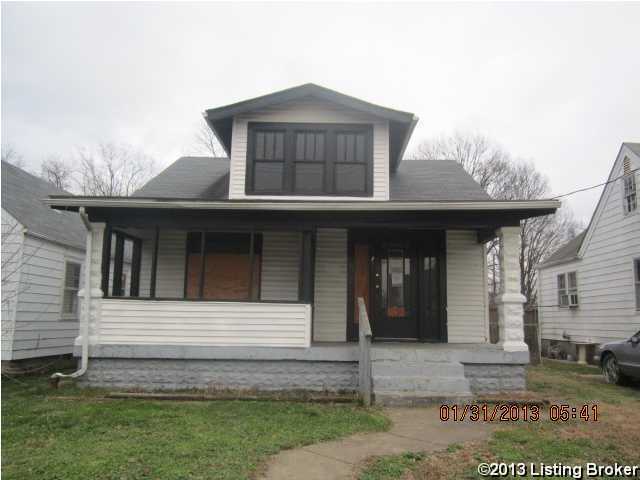 , Louisville KY 40215 is a Home, with 3 bedrooms which is recently sold, it has 1,160 sqft, < 1/4 ACRE sized lot, and 1 Car Garage,Detached parking. A comparable Home, has 3 bedrooms and 1.5 baths, it was built in and is located at 3744 Woodruff Ave Louisville KY 40215 and for sale by its owner at $ 55,000. This home is located in the city of Louisville , in zip code 40215, this Jefferson County Home, it is in the HIGHBAUGHS POWELL Subdivision, and HIGHBAUGHS POWELL are nearby neighborhoods.